Umbra brings affordable design to an everyday item with the clever Grapevine wine rack. 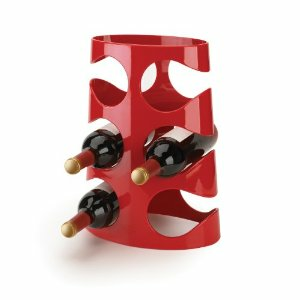 This glossy acrylic rack conveniently holds six bottles cradled within its curvaceous, patent-pending design. Available in multiple colors. Design: Ran Lerner exclusively for Umbra - a worldwide leader in casual, contemporary and affordable design for the home.